Star Finders are an incredibly useful tool for orientating yourself in the night sky. The RASC Star Finders has been specifically designed to help beginners learn more about Astronomy. 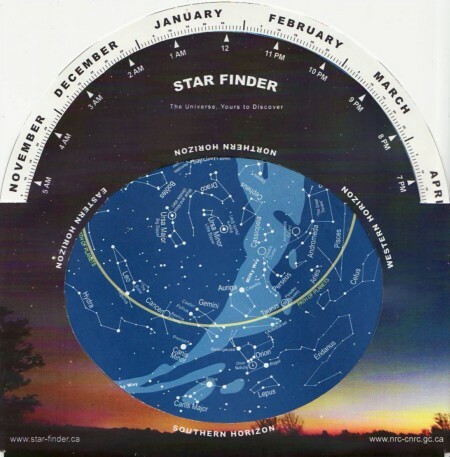 A star finder (also known as a planisphere) is a circular map with an overlay that turns to show – through an opening in the overlay – the region of the sky that is visible for a specified time, date and location. Ask your RASC Centre for your free Star Finder or bulk order online at the RASC Shop. Download a printable monochrome Star Finder.